When you’re looking for a home, we’re at your side, every step of the way. You’re already off to a great start on your home search — you’re here. Searching online is great way to find out about different areas in the region, home prices, mortgage rates, school ratings, and even where the closest supermarket is. But there can be so much information coming at you that you’re overwhelmed. That’s where we — the Hudson Gateway Association of Realtors® — come in. All of our HGAR Realtors are also members of the New York State Realtors Association and the National Association of Realtors. Realtors are committed to treat all parties to a transaction honestly and subscribe to a strict code of ethics and maintain professional standards. Through the Hudson Valley Multiple Listing Service, they also have exclusive access to the most up-to-date and accurate listing and sales information available. To find the right Realtor for you, ask family, friends, and coworkers for recommendations, get out to Open Houses in your target area and meet a few Realtors. After you have a short list of real estate agents, interview each one and find the one that fits on a professional and personal level. You want to work with someone you can trust, because this is a big investment. Search our Directory of active agents. If you’re a first-time buyer or are moving from out of state, you should know that real estate transactions in New York State also involve attorneys. Your Realtor can recommend attorneys they’ve worked with before, and you can also get recommendations from friends and family. You’ll also need to determine what you can afford. Your Realtor can help you with this. If you’re like most buyers, you’ll need a mortgage, and you should shop around for the best terms and rates. You may work with a bank, a mortgage broker, or a mortgage company. Typically, you want to have enough cash available to be able to make a 20 percent down payment on the of the purchase price of your house. But all hope isn’t lost if you don’t. Your lender and Realtor can help you find the right financing option. Once you do, you want to get pre-approved for a mortgage. Being pre-approved will show sellers that you’re serious and financially able to buy their home. Your Realtor will set up an exclusive home search for you on the Hudson Gateway Multiple Listing Service. You’ll get an email alert when new homes fitting your wishlist come on the market. Because the information’s coming directly from the source — our multiple listing service — everything is up to date and accurate. Other sites aren’t as fast or don’t always have the right information. Seeing the many photos of houses for sale can help you narrow the search, but don’t rule out a house based on photos alone. Your Realtor is a local expert, and can tell you things about the home that photos or descriptions can’t. You’ll work together to build a list of houses to see in person. You might find your dream home on the first trip out, but don’t be discouraged if you don’t. Based on your likes and dislikes this first time, your Realtor will work with you to fine-tune your search and find exactly what you want. Now it’s time to make an offer. You and your Realtor will decide on a price to offer, and the terms and conditions and a settlement date. Your Realtor will work with the seller’s Realtor to come to an agreement. Then the attorneys will prepare the contract. You’ll sign, the sellers will sign and you’ll write a check for a portion of the offered down payment called earnest money that will be deposited into a secure account. Your Realtor can recommend licensed inspection companies, and will work with the seller’s Realtor to set it up. When the inspections are done, you’ll get a report. Based on the report, you might ask for a price reduction or for repairs to be done. Your Realtor and attorney will work with the seller’s representatives to reach an agreement. When that happens, you’ll pay the balance of your down payment. Meanwhile, your lender will order an appraisal of the home to make sure it’s worth the amount of the loan. 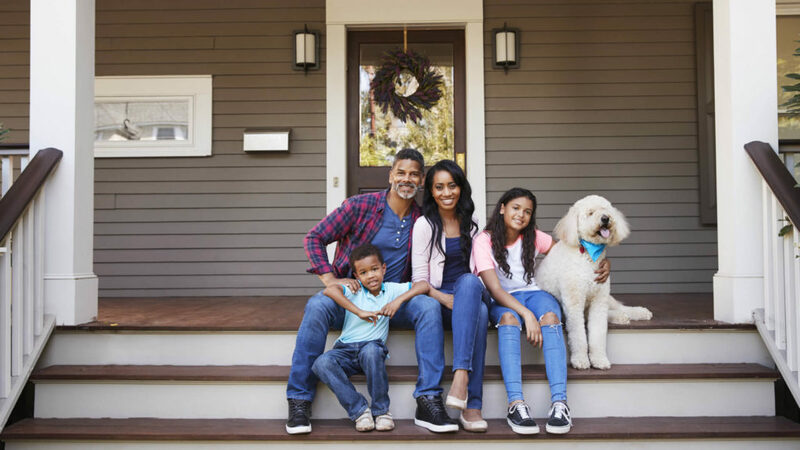 After the contract comes together, your attorney will be doing background work like getting the history of the title of your new home, your lender will be finalizing details of the loan and you’ll be busy, too — getting ready to move, transferring utilities and getting new homeowner’s insurance. Your Realtor will be there to help — reminding you of important dates and what documents you need for settlement, taking care of details and making sure everyone’s working smoothly together. You’re at the closing, which may take place at one of the attorneys’ offices or at the office of one of the Realtors involved in your transaction. You’ll be there, the seller will be there, the attorneys and a settlement officer. Your Realtor may be there, as well as a representative from your lender. You’ll sign contracts, exchange money, and soon enough, you’ll get the keys to your new home. Congratulations and Welcome Home!